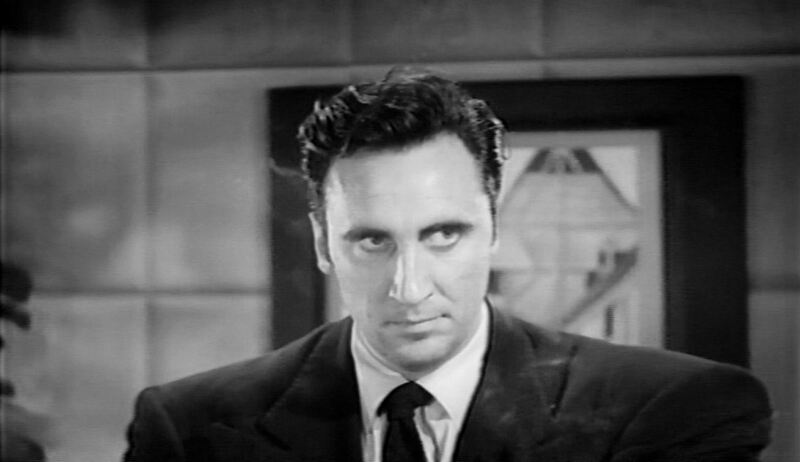 To the casual observer, Timothy Carey was one of filmdom’s most unusual character actors. He certainly was, but he was so much more. He was a force of nature. Notoriously challenging to work with, Carey did things his way and more than once butted heads with studio officials in Hollywood. In films like Crime Wave (1954), Finger Man (1955), East of Eden (1955), and Bayou (1957), his hulking 6’5″ frame, heavy features and rumbling voice demanded that you pay attention to him. 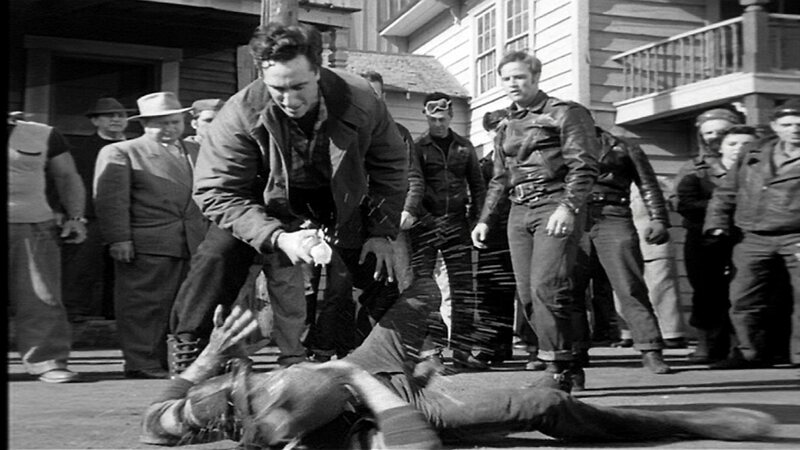 Stanley Kubrick did pay attention, and gave him his big breaks in The Killing (1956) and Paths of Glory (1957). The characters he portrayed in these films – a sharpshooting racehorse assassin and an innocent scapegoated WWI soldier, respectively – were at opposite ends of the moral spectrum, but Carey was able to hone in on what made them both human. This was probably his greatest strength as an actor. 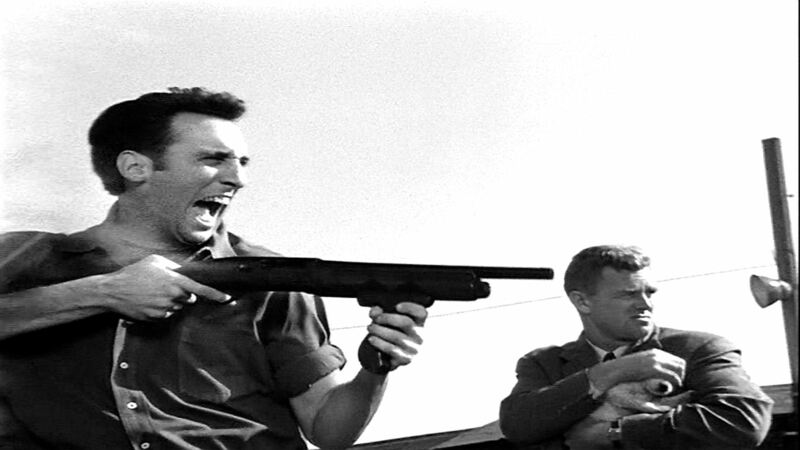 It’s time to take another look at Lou Terpe, the grabby yet cowardly torpedo of Finger Man (1955), directed by Harold D. Schuster. 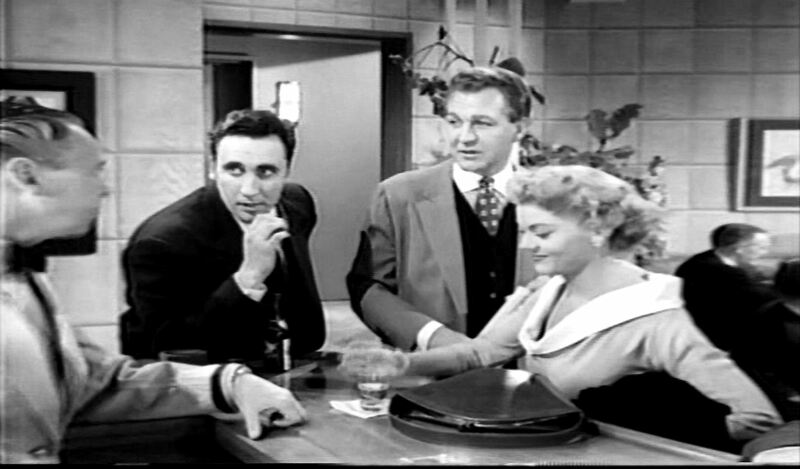 Here he enjoys a drink with his boss, Dutch Becker (Forrest Tucker) and one of Becker’s B-girls, Gladys Baker (Peggie Castle). Ms. Castle was one of the more memorable B-movie bombshells of the 1950s, both in feature films and on television. My MSTie pals will recognize her as intrepid girl reporter Audrey Aimes from Bert I. Gordon‘s Beginning of the End (1957) (starring another of Timothy’s future co-stars, Peter Graves). Sadly, she fell victim to alcoholism and died in 1973 at the age 45 of cirrhosis of the liver. Today we take another look at Harold D. Schuster‘s Finger Man (1955). Henchman Lou Terpe annoys one of his boss’ b-girls (not sure who the actress is) with his Torgo-level groping skills. During Eddie Muller‘s recent visit for the Noir City Portland film festival, I mentioned this film to him as a possible contender for next year’s shindig. He agreed that this is one film that deserves resurrection. Here’s hoping!